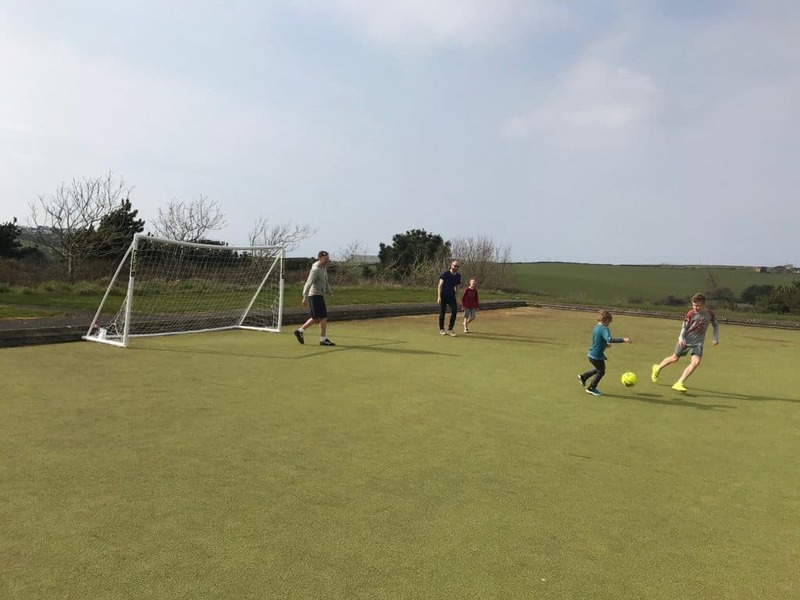 Today I have a another guest post to share you with, this time by Katie de Pelet who stayed at the Point at Polzeath in Cornwall for four nights over Easter. It sounds like its in a great location for an active family holiday and dogs are welcome too. 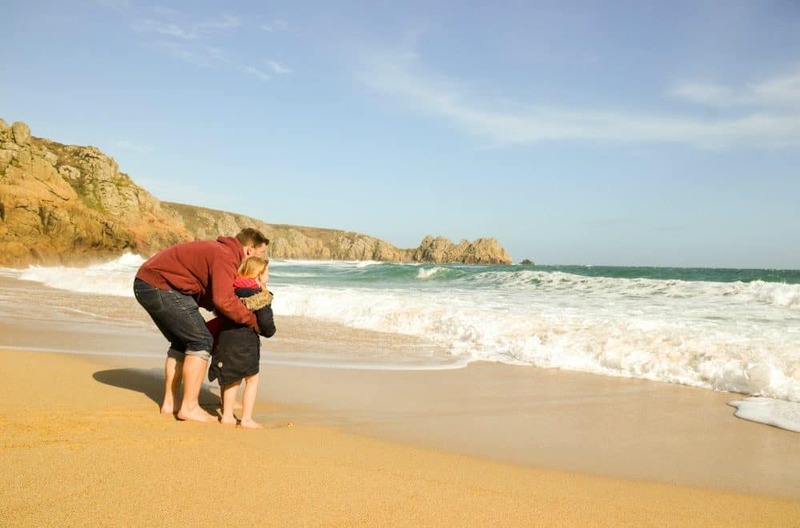 If you’re looking for self-catering accommodation in a family-friendly Cornwall resort read on! Packing for our latest holiday to Cornwall was tough. With so much on offer at the Point at Polzeath and with the ever changeable British weather we ended up choosing the campervan over our car so we could stuff it full of gear. Wellies and wetsuits, surf boards and swim suits, golf clubs and tennis rackets – we were ready for our adventure! After a (not so brief) stop at Asda in Bodmin we arrived at the Point at Polzeath later than we had initially intended. The accommodation office actually closes at 5pm but the keys to our apartment had been left at the Bear Bar. We were warmly greeted, given a useful welcome pack and pointed in the direction of our apartment. And what an apartment it was! We were staying in one of seven brand new three and two bedroom apartments that were finished March 2015. The apartments are all named after the shipping forecast, ours was Malin, and featured floor to ceiling windows, private terraces, fully fitted kitchens and wood burners. The kids loved that it was an ‘upside down’ house. The bedrooms were on the ground floor with patio doors out onto the lawn in front. The living room and kitchen were on the first floor to make the most of the incredible views over Polzeath bay. With an open plan layout and stylish modern décor the apartment was luxurious yet practical and child friendly. There were some lovely touches – ice trays already filled in the freezer, a pint of milk in the fridge, pods for the Nespresso coffee machine and some delicious Cornish shortbread. Bins were lined, there were plenty of dishwasher tablets and a roll of cling film ready for picnic lunches – hoorah! The apartments have also been designed with surfers and golfers in mind with outside storage and showers for wet activity gear. After a quick bite to eat we headed down to the beach for sunset. Max and Daddy decided to walk, which is about a 15 to 20 minute leisurely stroll across the golf course and along a scenic footpath which follows the valley. Chloe and I took the camper and parked on the beach. Despite it being after 7pm there were still lots of people in the water enjoying a sunset surf. We had decided not to bring Bailey, our eight month old cocker spaniel, on the trip as no dogs are allowed on Polzeath beach from Easter Day until 1 October. However there were actually lots of dogs enjoying an evening walk on the beach. 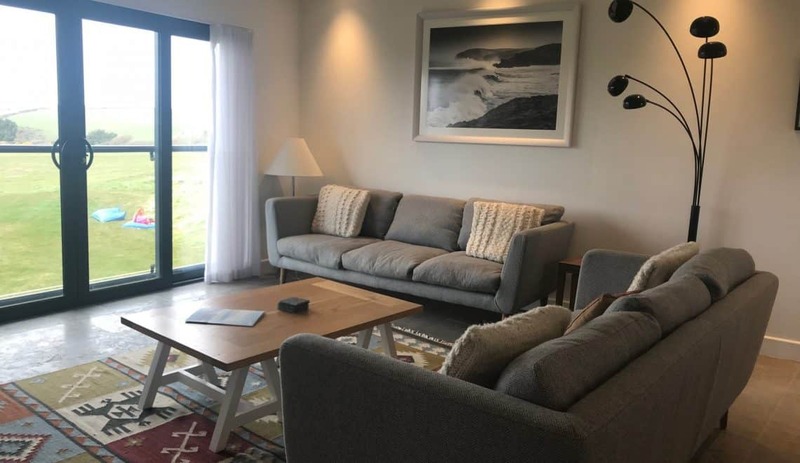 Our apartment, Malin, is dog friendly and the Point at Polzeath definitely caters for four legged friends but not every apartment allows dogs so definitely ask before booking. Sadly the beautiful red sky at night did not lead to shepherds delight the next day and we woke up to torrential rain. So much rain in fact that the golf course had to be closed for the first time that season. This meant that Tom was unable to have his on course lesson with resident golf pro Anthony. However luckily being a Cornish resort, the Point at Polzeath caters for wet weather conditions and has an undercover driving range with a private booth for lessons so Tom headed down there for some top tips. Max joined him down at the driving range as he was taking part in a group lesson for juniors led by Phil who is a Cornwall Academy Coach and works with the County Junior Squad. They both had a great time and Anthony was very patient when Max and Chloe gatecrashed Tom’s lesson! As the rain persisted we decided to head to a small collection of shops, called Hawksfield, about a 20 minute drive away just the other side of Wadebridge. We had lunch in a lovely little café with the best milkshakes and wandered around the shops which included food, fashion, interiors and beautiful vintage cars. It reminded me that although I associate Cornwall with beaches and outdoor activities there is so much else to explore as well. The sun started breaking through the clouds and the kids were itching to get to the beach so we headed back to the apartment to collect wetsuits, body boards and surfboards. You can organize surfing lessons through the Point at Polzeath but we decided to just mess around in the white water this time. We were very glad of our thick 5mm wetsuits and boots as the water is freezing at this time of year! Max had a go on Tom’s long board and Chloe caught her very first wave on a body board. The following day some friends of ours joined us and the Dads played tennis with the kids while my friend and I went for a beautiful run around the winding country lanes that surround the Point at Polzeath. The tennis courts are payable separately but at only £7.50 per court for an hour they offer value for money especially as they are all-weather astroturf courts with stunning views. After our run, and in true parenting tag team style, I drove the Dads down to the beach so they could have a surf while we packed up the picnic and beach gear. After a very happy, and thankfully sunny, few hours at the beach we headed back up to the Point at Polzeath for a swim in the indoor pool. The pool is thoughtfully laid out so there is a designated lane for swimmers, a separate shallow section for smaller children, the main pool and an adjoining hot tub. There is also a sauna and steam room which we didn’t get to use but looked lovely. Entrance is free to anyone staying at the resort. We put the kids into their pyjamas after a shower at the pool and headed back to our apartment for supper. Our friends left the next day and I left Tom in the apartment entertaining the kids while I attended a spinning class with Jordan. Apparently Jordan has a reputation of working you hard and despite being a fairly regular spinner I did wonder after 15 minutes whether I would last the whole 45 minute session! But the music and the lovely views out of the floor to ceiling windows distracted me from the pain in my legs and I managed to last the distance. There are a range of classes from yoga and pilates to kettle bells and body pump as well as classes you can take your kids along to (Bring Baby Bootcamp). There’s even a Junior Gym session for 14 & 15 year olds. Classes are charged separately at £5 each. Red faced and dripping with sweat I staggered outside to find that Tom had discovered the astroturf football pitch and had rounded up a group of children (as well as our own) and was playing a very energetic game of 5 a side. I left them to it while I went and had a shower. We decided to have lunch at the restaurant on the first floor of the main building as I had heard that the views were stunning and the food delicious. We weren’t disappointed. All the dishes are made with locally sourced and seasonal produce. Seafood features heavily on the menu being so close to the coast. There was also a good selection on the children’s menu including homemade fish fingers and a mini beef burger. My two went for home thrown pizza. Chloe a mini pizza from the kids menu (£7) and Max, who was starving after football, wanted an adult’s one (£13). When they arrived, Chloe’s was far from mini and Max’s was enormous! They both devoured them leaving barely a slice for Tom and me. For a starter Tom and I shared scallops in brown shrimp and seaweed butter from the specials menu (£10) which was beautifully presented and truly delicious. We then ordered two open sandwiches. I opted for a Scandinavian inspired skagen salad on sourdough (£13) and Tom went for crab, chilli and parsley also on sourdough (£12). The skagen salad was particularly mouthwatering. Plenty of juicy shrimp, crab and cray fish covered in lashings of dill and lemon mayo served with slithers of cucumber. Yum! For pudding the kids had ice cream which was included in the price of their main meal. We shared a banana split (£7) which was nothing like the dessert I remember from my childhood. There was no squirty cream in sight but instead a lightly caramelized banana with crumbled honeycomb, crème anglaise, vanilla ice cream and chocolate sauce. Needless to say I would have licked the plate had there not been other people in the restaurant. The restaurant also offers a take away pizza service which I would highly recommend for those days when you just can’t be bothered to cook. After lunch we hung out in the Bear Bar on the ground floor to let our food digest before the next round of activities. The Bear Bar has a lovely relaxed feel to it with comfy sofas and chairs as well as a children’s area with bean bags to sit on, books to read and plenty of toys. There is also a terrace outside which overlooks the tennis courts and golf course. Dogs are allowed in the restaurant and Bear Bar during the day but not in the evening. Chloe and I settled down on one of the comfy wicker chairs outside to read stories and play giant connect four in the sunshine while Tom played a few holes with Phil the golf coach. Meanwhile Max had a group tennis lesson with Paul. There were five children in the lesson with varying levels of skill but Paul managed to keep them all fully engaged and entertained for two hours. No small feat! The lesson cost £15 and was payable directly to Paul. 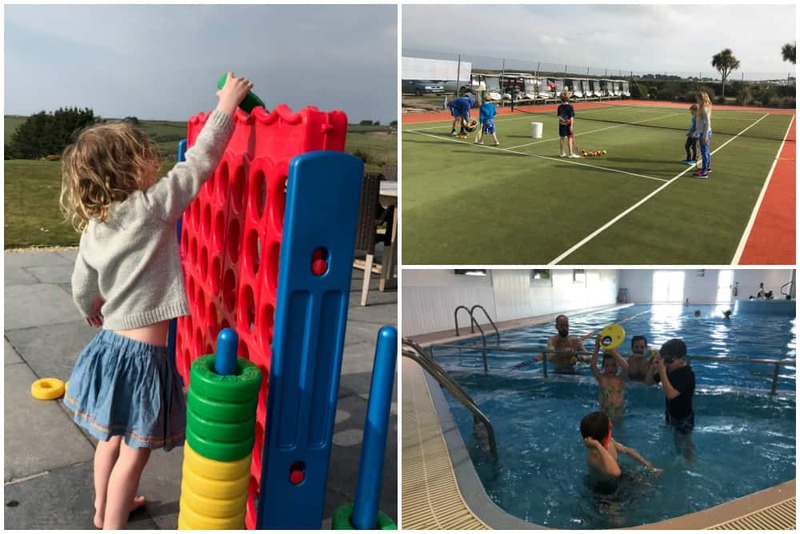 We felt that the experience on offer at the Point at Polzeath is almost a mini Mark Warner holiday in the UK. Families who like to get stuck in to a lot of activities will love this place! There is no shortage of things to do, in fact you could keep yourself entertained for several days without even leaving the site. 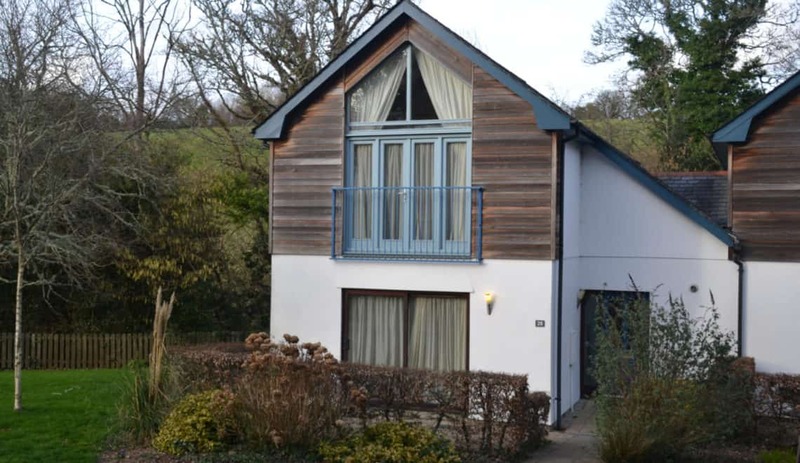 The accommodation was of a very high standard and the elevated position, which is slightly removed from the hustle and bustle of Polzeath beach, offers incredible views from every direction. It is also a foodie destination in its own right so offers anyone staying in the self-catering apartments some delicious respite from cooking and washing up. It is truly family friendly and as a result there were plenty of other children for mine to meet and play with which ends up being a win-win situation for everyone! We will certainly be heading back to the Point at Polzeath, in fact I’ve already suggested it to my parents, brothers and sisters-in-law for our next family break. A four night stay in the Malin three-bedroom, dog-friendly apartment at Easter would have cost £1,130. 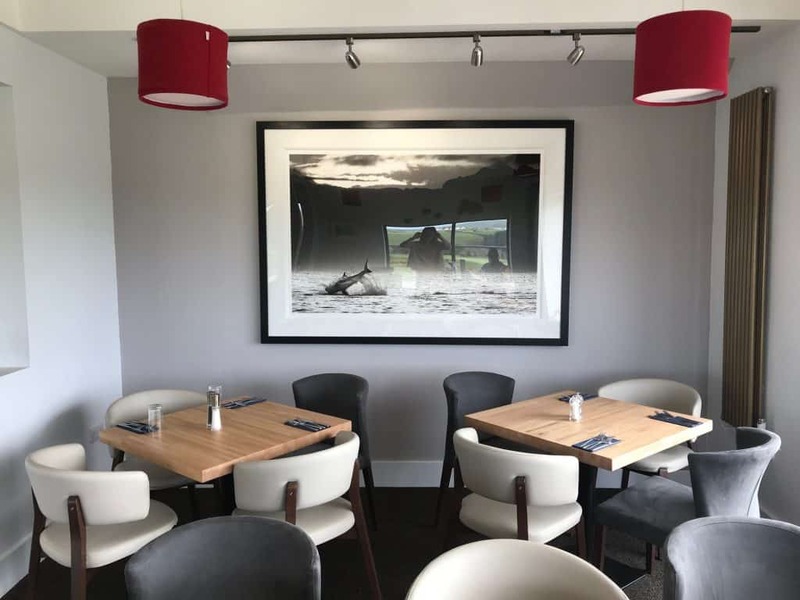 Disclosure: Katie and her family were offered a discounted stay at the Point at Polzeath in exchange for an honest review. I have always loved travelling and spent most of my late teens and twenties travelling the globe. I met my husband Tom in La Reunion in the Indian Ocean, we lived in London then Tokyo, Japan, before starting a family in 2011. Tom set up his own cycle accessory business (for which I do the marketing and PR) and in 2015 we relocated to Exeter with our two children who are currently 6 and 4. 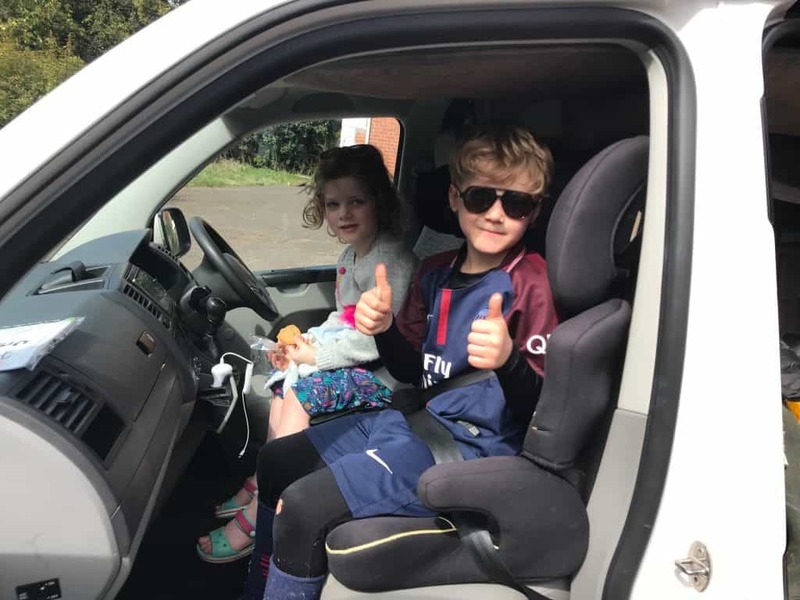 Determined not to let family life dampen our passion for travel we bought a campervan and now love to explore everything that the South West has to offer. We particularly enjoy anything adventurous and active although I’m partial to a bit of pampering too! That golf course looks great in the background. A shame that it was closed. Is the course included in stay if it were open?